The DB-8 mkII is a loudness tool with four processing engines and redundant power, designed for larger broadcast centres. 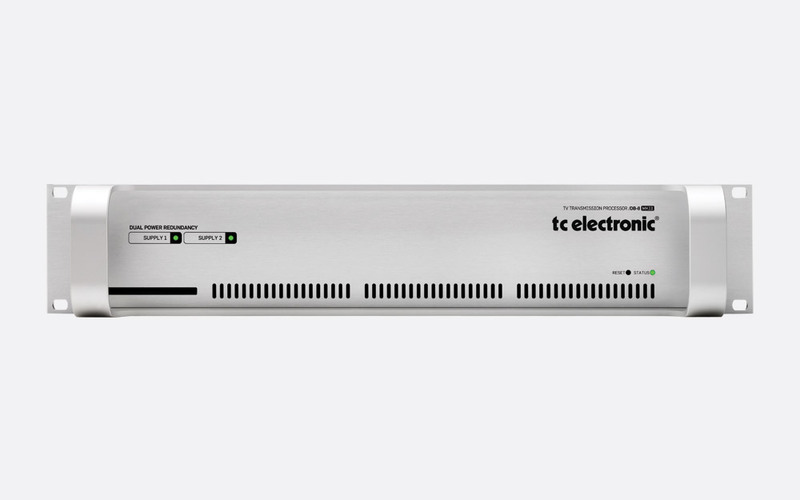 Using this hardware along with the TC Icon remote or a connected computer running TC Icon Software, the user can ensure that the loudness of the source is compliant with the latest legislation including ITU BS.1770, EBU R128, ATSC A/85, TR-B32, and OP-59. LM6 - a visual reference of an audio source including information such as loudness history, momentary loudness, program loudness and loudness range. DMix - an algorithm that allows the downmix, peak limit, and loudness of a mono, stereo, or 5.1 source. UpCon HD -.uses intelligent monitoring to 'seemlessly' crossfade any signals to 5.1 if they fall back to stereo. Multiband 5.1 - simple four band dynamic control for 5.1 including compression, limiting and expansion. EQ/Delay 8 - multi-channel EQ with four band parametric EQ, and user defined delay. ALC6 - automatic loudness management with correction. 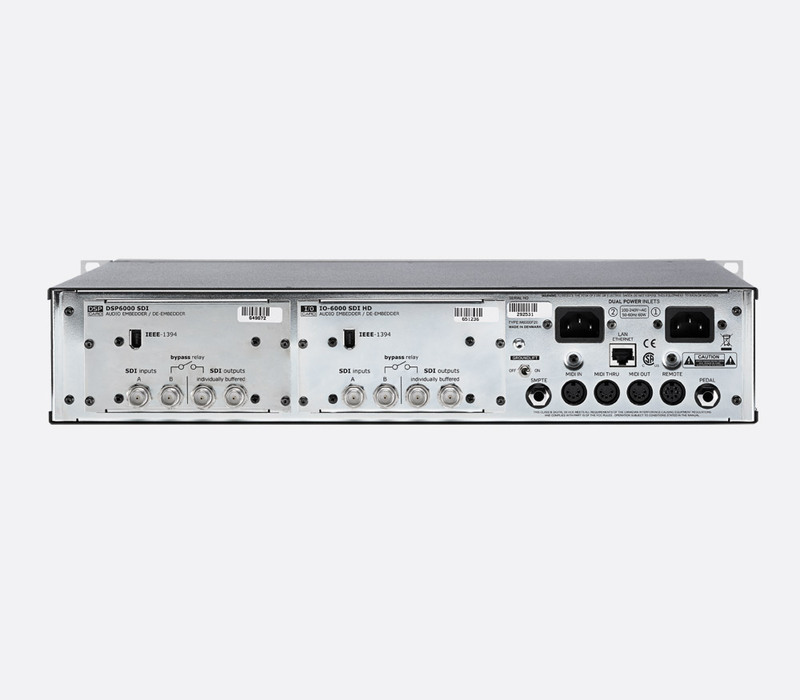 MDX 5.1 - a dynamic controller with compression and limiting for multichannel signals. 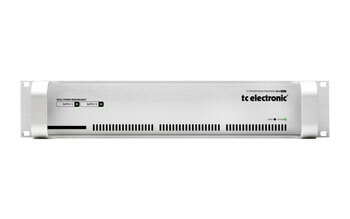 ATX/DTX - 48 bit peak limiter, level optimiser and loudness control for stereo, wide stereo, or dual mono signals. Downconvert 5.1 - is an algorithm to downmix multichannel formats such as 5.1, to stereo or mono output. The 2U front panel is mainly dedicated to visual indication, with LEDs illuminating green to signal power to each of the two independent power sources - these LEDs light up red if there is a problem with the related power input. A single LED shows the status of the unit - with green being 'ok', flashing orange meaning 'update in progress' and red indicating a network issue. Additionally, the front panel houses a reset button which can be used to reset the I/P address to default and a PCMCIA slot whereby a user can use a card of up to 2MB SRAM to store additional presets and banks. The rear panel has IEC inlets for mains power and input and output connectors. The DB-8mkII is offered in four configurations. All share the same features of MIDI in/out/through connectors, 6.35mm jack input socket for SMPTE sync and a 6.35mm jack socket input to which a pedal can be connected to switch up to eight presets. A ground-lift switch can also be used if there is a problem with mains 'hum'. An RJ45 Ethernet LAN connection can be used to link to a computer or TC Icon remote. 87-0151: 2x 75 ohm BNC input, 2x 75 ohm BNC output, 1x Firewire. 87-0152: 4x 75 ohm BNC input, 4x 75 ohm BNC output, 1x Firewire. 87-0153: balanced 110ohm 25-pin D-Sub. 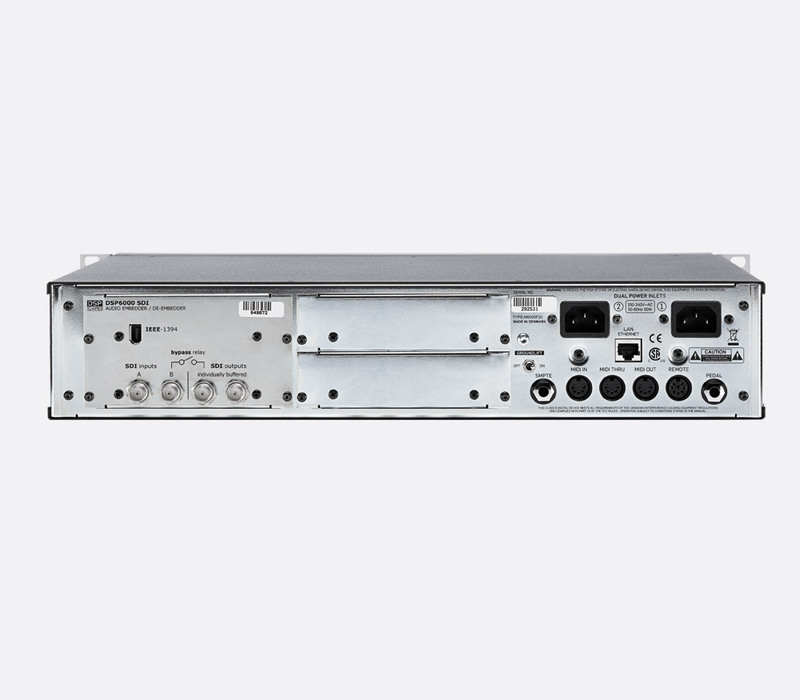 For applications needing the processing characteristics of the DB-8 mkII but not requiring as many processing engines, the DB-4 MKII has the same functionality and algorithms as the DB-8 mkII. 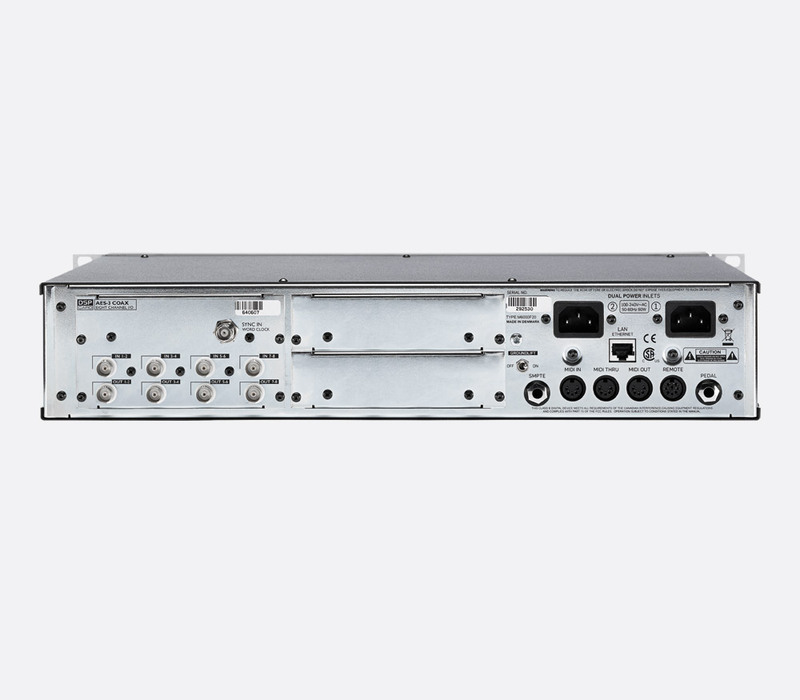 However it houses two processing engines and is capable of running two independent and simultaneous algorithms as well as LM6 radar monitoring. See:'TC Electronic Processors - DB4 MKII - Transmission processor'.